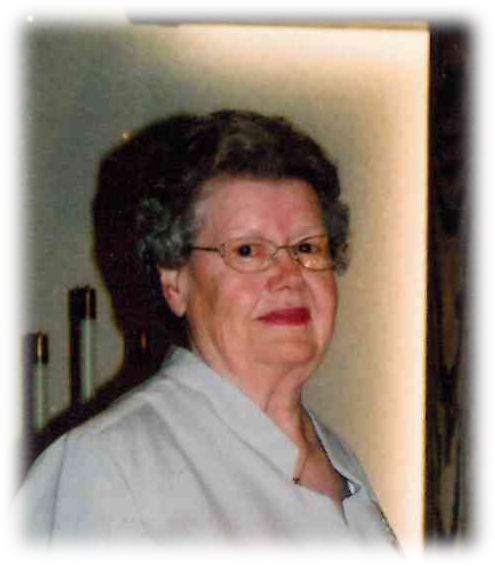 GERTIE WEGNER, 91, of Libby, MT, formerly of Golden Valley, ND, passed away on January 25, 2019, in Libby, MT. Services will be held at 10:00 AM CST, Friday, February 1, 2019, Golgotha Lutheran Church, Golden Valley, ND with Pastor Tom Olson officiating. Burial will follow at the Golgotha Lutheran Cemetery, Golden Valley. Visitation will be held from 5:00-7:00 PM CST on Thursday, January 31, 2019 at Barbot Funeral Home, Beulah, ND. Gertie was born February 4, 1927, to Hagbert and Gena (Texley) Trogstad in South Fork Township of Adams County, ND, just north of Lemmon, South Dakota. Gertie married Julius Wegner of Elgin, ND, on November 6, 1945. To this union five children were born, Donald, James, Joyce, Patrick and Barton. In the beginning, the Wegner’s lived in the Elgin area. They moved to Golden Valley in June of 1957. Julius was the elevator manager for 20 years and Gertie helped him with the bookwork. Gertie was also assistant cook at the school for many years. Gertie enjoyed crocheting and playing cards. She enjoyed the afternoons she could get together with her friends. Gertie is survived by her sons, Donald (Maria) Wegner of Libby, MT, James (Cheryl) Wegner of Libby, MT, and Barton (Lorraine) Wegner of Anaheim, CA; daughter, Joyce Walth of Halliday, ND; sister, Lucille Miller of Medford, OR; and sister-in-law, Alice Trogstad, Lemmon, SD. She was also survived by many grandchildren, great-grandchildren, and step grandchildren. She was preceded in death by her husband, Julius; her parents; her son, Patrick; two son-in-laws, Wayne Way and David Walth; grandson, Shane Wegner; brothers, Curtis, Clifford, and Ernest; and sisters, Agnes, Hazel, and Laura.